Anish Kapoor has everyone grumbling these days. The knighted artist is known for his intellectual preoccupation with blood, female anatomy, nothingness, and obtuse-yet-high-drama installations—like his 2017 piece Descension in Brooklyn, an infinitely spinning whirlpool. 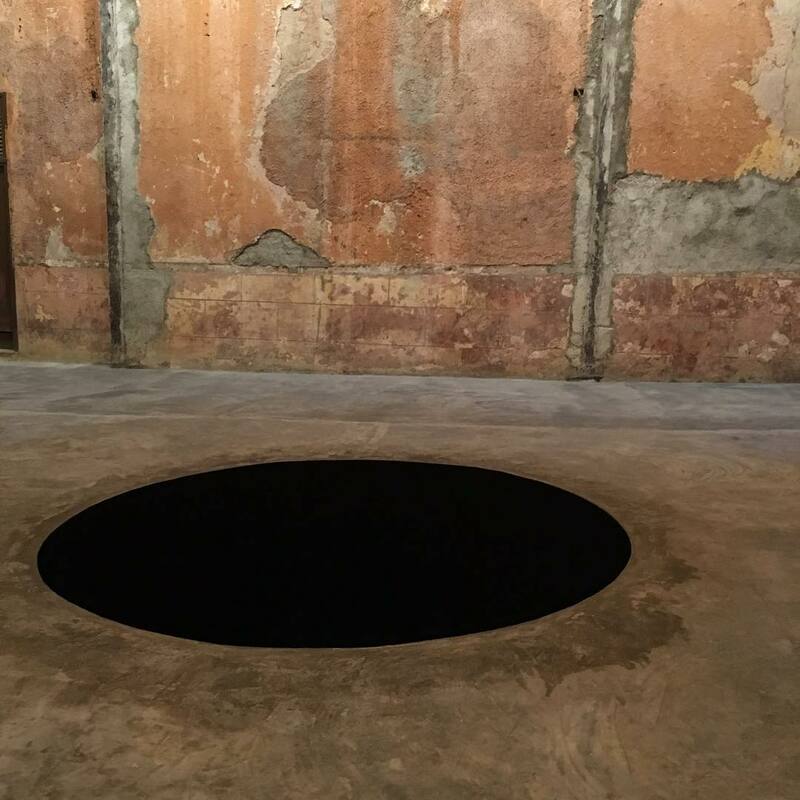 Descension explores, Kapoor said, “negative space,” a concept which is arguably the crux of his work. His pieces can, on one hand, appear benign and purely decorative, like Blood Mirror (a concave bowl of arresting, reflective red) while some are severe in their violent ugliness, like Internal Object in Three Parts (a series of three meat-textured reliefs that, some would argue, are disarming in their vulgarity). Much of that vulgarity comes from his dogged pursuit of extreme materiality: he strokes his whimsy by making art that is desperately large in scope and overwhelming in its concentration of color. His work also often inevitably segues into his favorite topic: The Void. Purchasers of PINK will be required to make a legal declaration during the online checkout process though, confirming that: “you are not Anish Kapoor, you are in no way affiliated to Anish Kapoor, you are not purchasing this item on behalf of Anish Kapoor or an associate of Anish Kapoor. To the best of your knowledge, information and belief this paint will not make its way into that hands of Anish Kapoor. Is the reactionary conversation surrounding this—which many may call petty and some may call productive and ethical—exactly the point? Did Kapoor play his cards this way on purpose as a piece of performance art? Or was that Semple’s idea in using Kapoor’s name and a philosophy of artistic access as “brand” for his product? You’d think the beef would die down after Semple got his big boost, but just last week, the drama once again reignited with Semple’s release of Phaze, a color changing paint that goes from purple to The Pinkest Pink, and Shift, a color-changing rainbow paint. His video posts on Instagram included a link to buy the products, and of course, the hashtag #sharetheblack. One wonders whether those involved in this conversation speak out of moral obligation, or from a place of altruism, or whether this whole thing is really a matter of attacking the Kapoor and his power.